India is the world’s largest democracy and one of the most beautiful countries in the world. The Himalayas in the North, gorgeous beaches and architecture in the South, temples in the west and magnificent landscape in the east. One trip is definitely not enough to cover everything, as it can get overwhelming to see it all. The urban culture in the metropolitan cities is enjoyable while it’s counterpart can be nerve-wracking for some. I have heard people noticing only the poverty in India, and on the other hand, I have heard people falling in love with India. Some even have the love-hate relationship with India like some of the Indians themselves. If you’re still reading, I’m sure you’ve made up your mind about taking the leap. But still scared about the crowds, enormous attention and noise. 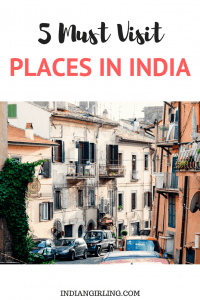 Don’t worry I’ll take you through some of the places to visit on your first trip to India. I recommend, forget about covering it all in a trip, but rather take baby steps. 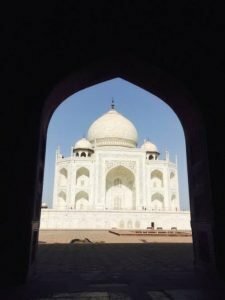 Start with my recommended 5 places you shouldn’t miss on your trip to India and you will have a memorable experience. 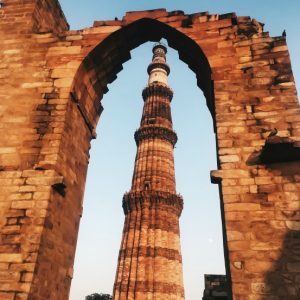 Delhi is the capital of India, and easily tops my list of the places you should not miss on your trip to India. As a local, I am going to present you some of the best places you should visit while in Delhi. Delhi is the historic capital of India, previously known as Delhi Sultanate. As the center of Mughal empire, Delhi is home to various Mughal architecture. Some of them are well-known including Qutub Minar and Humayun Tomb. But there are some lesser known places as well like Safdarjung Tomb and Hauz Khas Fort. Delhi also has a famous triumphal arch which is the largest war memorial in the country. I would advice not to miss these top 5 places while in Delhi. Talking about Delhi, we cannot forget about the Old Delhi, housing Red Fort, Jama Masjid and the famous Chandni Chowk. Take a day out for covering all three in a single visit. Taj Mahal is the pride of India is one of the 7 wonders of the world. The symbol of love is an architectural marvel in itself. On your first trip to India, one cannot imagine not visiting Taj Mahal. Hardly a 3-hour drive now from Delhi, Taj Mahal can be covered in a single day. Sadly, the monument needs protection, hence there’s now a 3-hour limit on each ticket, so plan accordingly. Apart from the Taj Mahal, I would recommend visiting the Agra Fort and the nearby Fatehpur Sikri as well. If you’re a believer in Lord Krishna, I would suggest taking a pit-stop in Vrindawan. Vrindawan is the home to Lord Krishna and now is home to the famous Iskon and Bankey Bihari Temple. We have covered Vrindawan and Taj Mahal in a day, so yes it can be done! Including Jaipur in your India trip will form the famous The Golden Triangle of India. Jaipur is otherwise known as “The Pink City” because most of the buildings here are of pink color. Jaipur is home to famous Palaces and Forts. Amer Fort is one of the most visited place from Jaipur located on a hilltop just a few kilometers outside of the city. The Hawa Mahal is one of the most photographed Palace from Jaipur. Hawa Mahal is a true beauty of architecture with a facade of hundreds of windows, overlooking the lake. Hop on the cafe across the road for amazing pictures of the Hawa Mahal. 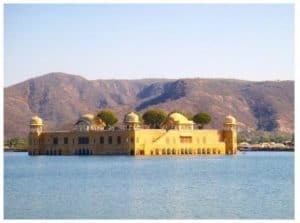 Jal Mahal is another marvel from the city of Palaces, with half of the palace inside the lake – thus the name – Jal Mahal (Water Palace). Although, it is not open for tourists, you can observe its beauty from the main road. Apart from the Palaces, the city has a variety of Museums including Albert Hall Museum, City Palace, and the white temple aka Birla Mandir. Still don’t feel satisfied? Try local cuisine from Rajasthan in Chowki Dhani. Just a tad outside of Jaipur, Chowki Dhani flaunts the culture of Rajasthan is the most honest manner. Book a ticket, and spend an evening here for a lifetime of memories. 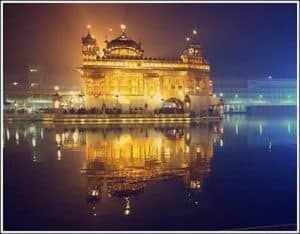 Amritsar attracts millions of tourists around the year from India and abroad given credit to the famous Golden Temple aka Harmandir Sahib. Built of Pure Gold, the temple is home to Sikhism and is one of the best ways to experience Punjab. The premises of the temple also a lake which is said to have holy water with abilities to cure physical injuries. Just outside the Golden Temple is the Jallianwalah Bagh where the British massacred hundreds of innocent people in 1914. A historic and emotional place to visit the city which I suggest in including in the itinerary. Amritsar is closely located to India Pakistan border otherwise known as the Wagga Border. I would strongly recommend visiting the Wagga Border for the renowned Beating Retreat Ceremony. The ceremony is nothing but lowering of flags which is carried out by India and Pakistan both. The ceremony is the finest example of cooperation between the two otherwise rival nations. Apart from these top attractions from the city, a new Partition museum recently opened up which brings us back to the pre-partition era. A must-visit for history lovers. Amritsar is not only famous for its cloth and juttis(shoes), but also is home to the iconic Aloo-Kulcha. A dish truly unique to a place, should not be missed. Himachal Pradesh is the answer of your prayers when thinking about the Himalayas. Although some lower parts of the state don’t truly represent the Himalayan range, as we go up towards higher altitude, the beauty of the state is showcased flawlessly. Most people know about Shimla, Manali, Dharmsala or Dalhousie from the state. They are surely a nice way to get the vibe of the Himalayan state. 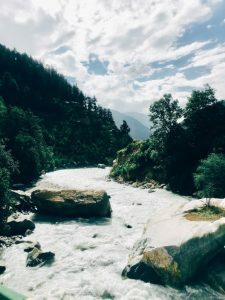 But, if you want to see the true Himachal Pradesh, I suggest considering Sangla Valley, Chitkul, Napa or Kaza valley in your India itinerary. These valleys have snow-covered mountains round the year, natural beauty at its best, purest & sparkling rivers and greenery to admire. All these five places will introduce you to the best parts of India, with humble people and a warm welcome. 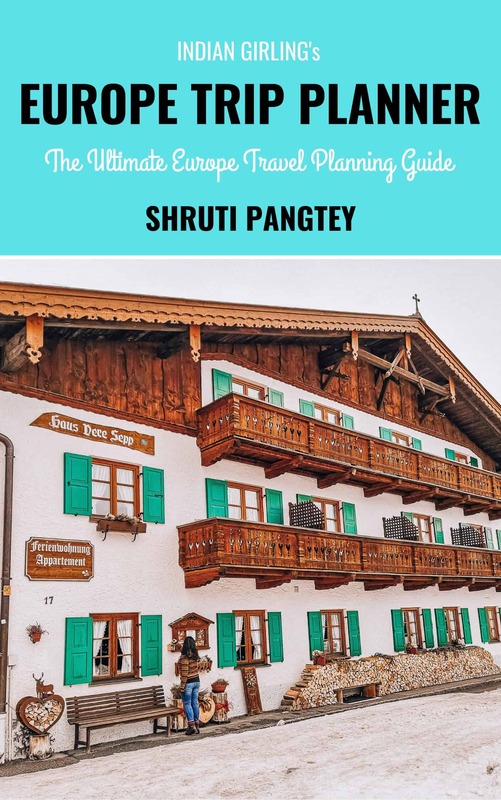 How many of these places would you like to visit from my recommended list? 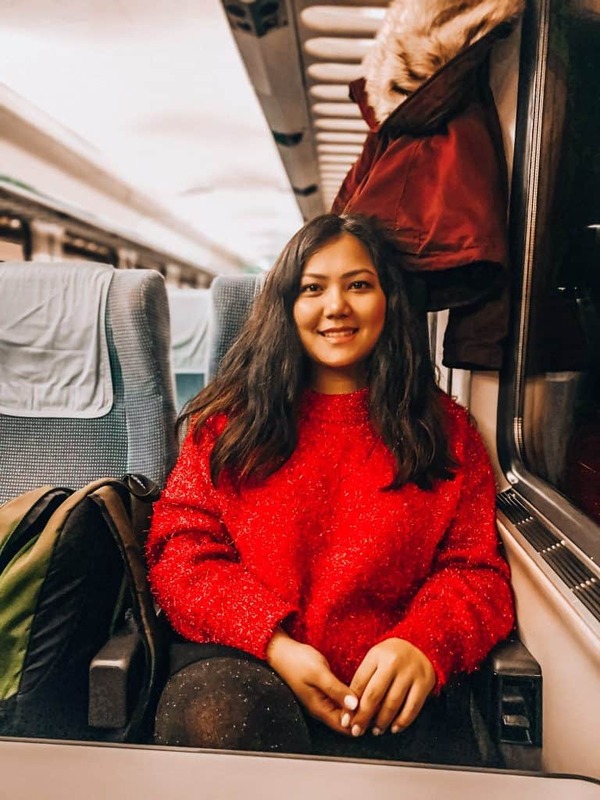 Shivani, a full-time techie and part time traveller/ blogger at The Wandering Core. An avid book lover, a chai fan and coffee addict, Shivani likes to explore her hometown Delhi in her free time. She also has a deep interest in photography and likes to enhance her writing through her pictures. You can connect to Shivani on Facebook.